My HbA1c is 7. 5. Should I continue my tablet for diabetes? iCliniq › Ask a doctor online › Answers › Diabetology › Diabetes › My HbA1c is 7. 5. 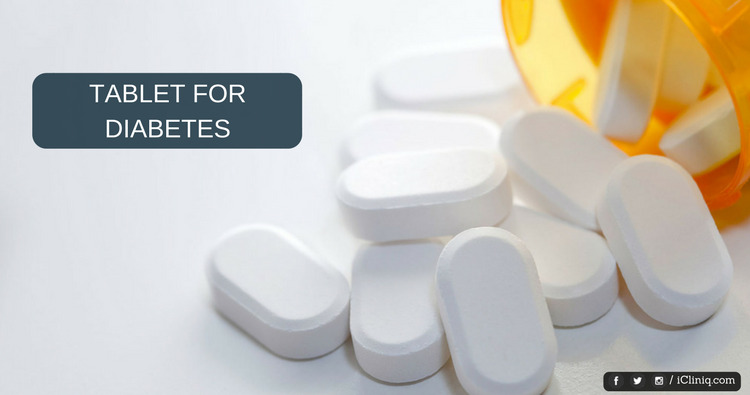 Should I continue my tablet for diabetes? Q. My HbA1c is 7. 5. Should I continue my tablet for diabetes? Answered by Dr. Ankush Gupta and medically reviewed by iCliniq medical review team. I am a 52 year old female. One year before I went to a diabetologist and took glucose tolerance test. Here is the result, fasting - 128 mg/dL, 1 hour - 340 mg/dL, 2 hour - 196 mg/dL. Doctor prescribed medicine for a month but after that I did not take any medication. Now I would like to know should I take any tablet. Here I have also attached my HbA1c report for your reference. • What are the reasons for hypoglycemia? As you have mentioned that took medicine for a month, still your HbA1c - glycated hemoglobin is 7.5 (attachment removed to protect patient identity). This is little high. The target of HbA1c should be less than 7. So, I would suggest you to continue with tablet Glyciphage 500 mg (Metformin) with breakfast and with dinner for a month along with diet management and regular exercise. Do not take oily or fatty outside food and rice. Do 30 minutes of brisk walking every day. Repeat fasting blood sugar after one month and report to me. Should I take the tablet before food or after food? You can take Glyciphage with food. It does not cause hypoglycemia and so it is safe.